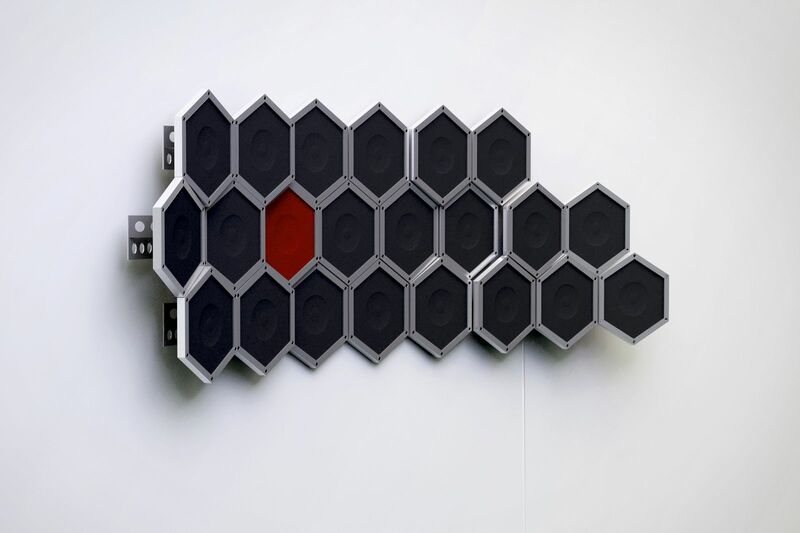 The Hive modular speakers were produced from the desire to have a “wall of sound” when watching movies or listening to music. The modular system means that you can have one, or fill an entire wall with modular speakers. 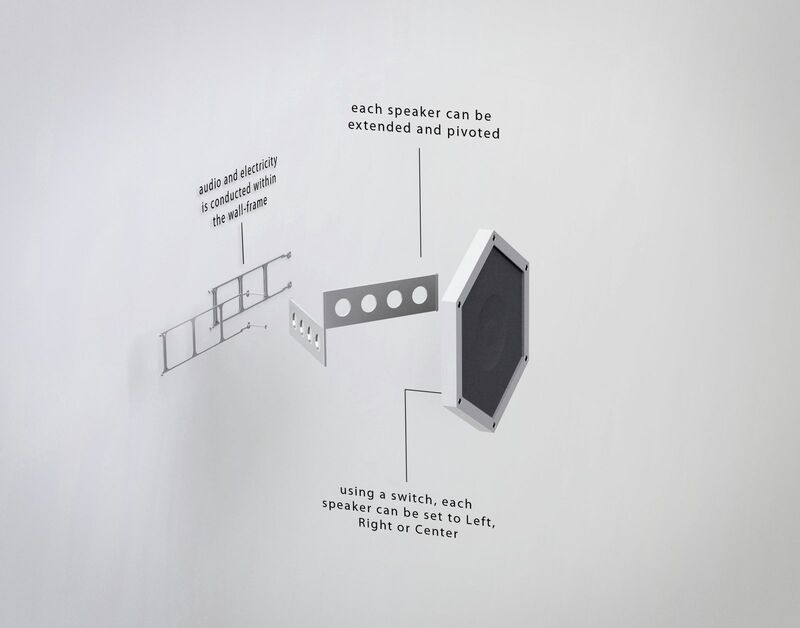 This sound system uses one single cable containing both audio and electricity (all other electrical wiring are inside the wall mounted frame). The Hive modular speakers system can be extended and pivoted independently, and can be used in digital surround systems.